Will Today’s Election Spell the End of Medical Marijuana? The End of Medical Marijuana? “You’re late,” the reception at Nirvana Clinic tells me when I walk in for my consultation. 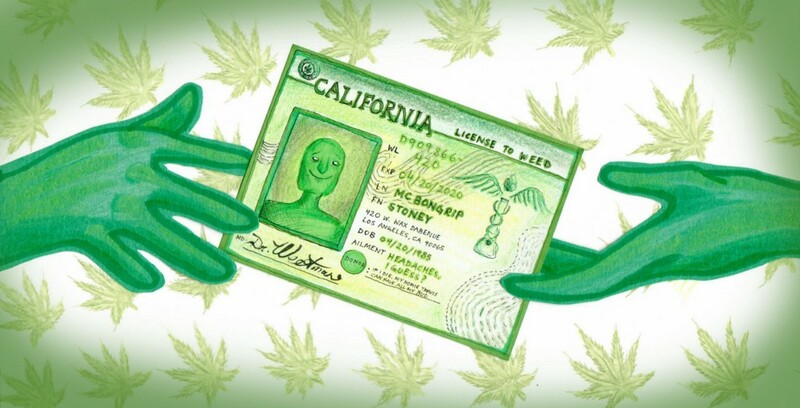 I’ve come to renew my medical marijuana card, and because it expired back in January, they’ll have to treat me as a “new” rather than a “returning” patient, even though I’ve been here three times. This is just one of many idiosyncratic hoops I jump through as I engage in the annual task of lightly complaining about various ailments (My history with depression! My back pain!) in exchange for the right to “medicate” them with cannabis (including initialing next to promises that I won’t resell or share my medication on numerous pages of misspelled paperwork). Despite its ability to make people feel some kind of way (including less pained or anxious), marijuana itself is not medicine — at least, not in the sense that ibuprofen is. Rather it’s a plant, full of chemicals with various healing properties, like THC, which makes your brain feel silly, and CBD, which makes your body feel gooey. Unlike prescription medication, which is prescribed according to specific protocols, a medical marijuana “recommendation” provides no information on how much of the drug to take, which strains to use for specific health issues or how to ingest it. Not to mention that insurers would lol if you filed for a reimbursement from your dispensary (and possibly use your status as a smoker or illegal drug user to deny you certain types of coverage). The mainstream medical community would embrace the plant if it cleared the FDA’s approval process, but that would demand a significant number of peer-reviewed, double-blind studies showing that marijuana helped treat very specific conditions. One day, that could happen for conditions like chronic neuropathic pain or cancer pain. A 2015 review of marijuana studies published in the Journal of the American Medical Association demonstrated “moderate-quality evidence” that marijuana helped those conditions, but the federal government makes it very difficult to do research using marijuana, so progress moves slowly. The same review also showed that there’s basically no evidence that weed helps with treating insomnia, depression or anxiety, all of which are excuses I’ve used to get my card renewed. That absurdity—of going through a fake medical exam to get fake medicine— is why I am already a bit nostalgic for last week’s visit, which was probably my last. The fakery of the experience makes me feel like I’ve traveled to a Kafkaesque society where people adhere to lengthy and rigid bureaucratic processes for no clear reason. But it’s also become one of the most consistent sources of contact I’ve had with any medical professionals over the past few years—more reliable a ritual than the recommended annual physical, despite not yielding much in the way of sound medical advice. Eat less salt. Don’t smoke in bed. Vote for who inspires you. These are the messages delivered by Nirvana’s weed quack after he enthusiastically slaps my back, checks my heartbeat (“Strong heart!”) and blood pressure and asks a few questions about my marijuana use. As I wait for him to sign off on my prescription after the briefest of examinations, I stare off at his office’s dispensary-green walls and decor that gestures at a more professional vibe (including an examination table, a medicine ball, a pull-up bar and some higher-tech equipment that seems underutilized). It’s impossible not to think about the lives of weed doctors when they’re not on the clock at clinics named Nirvana, The Green Doctors or 420 Evaluations. Are they out conducting real physicals, inspecting pre-cancerous moles and delivering babies? Are they working on cutting-edge research on the use of CBD oils to fight seizures? Or are they unable to make enough money using their medical degrees for more conventional purposes —due, perhaps, to age, debt, or mediocre qualifications? Little is known about these ghosts of the medical marijuana economy, who pass through clinics on shifts or even just work from home. Increasingly, people can get recs from them digitally: through Skype on a laptop at a table in a pot clinic, or via apps that get you a card and then immediately connect you with delivery. 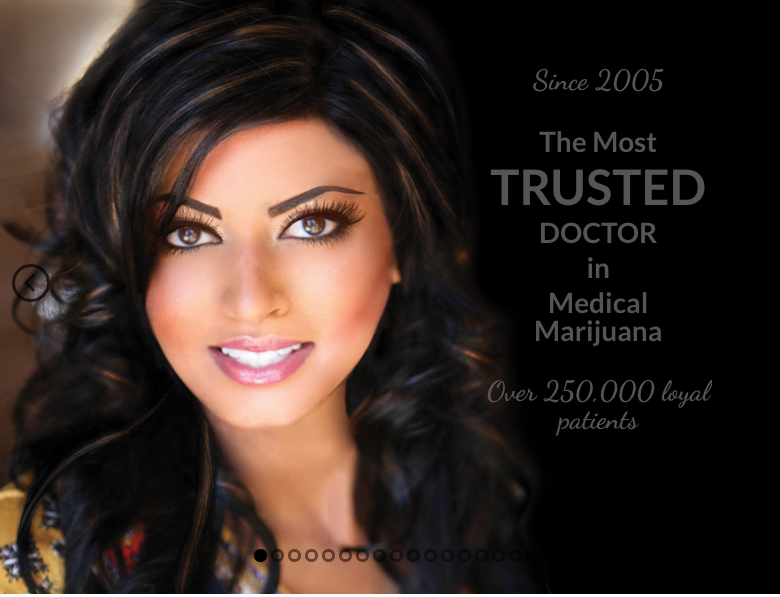 Dr. Sonia Patel may be the most well-known pot doctor, with her infamously alluring DOC420 branding and her portrait on billboards across Los Angeles. Like other weed doctors, she studied medicine abroad (in the Caribbean). Unlike other weed doctors, she paid for her education by modeling (hence the glamor shots). Though she is likely living large after dominating in the weed recommendation niche for years, she has previously voiced support for legislation that would end the business of being a pot doctor. Such legislation increasingly seems imminent in California. The disappearance of these gatekeepers will be the main difference in how California’s new weed system is experienced via the consumer. It’s a change few people will notice, let alone mourn. Many people never stopped getting their weed from informal markets or growing it themselves, so they never crossed paths with weed doctors. Others are already living in the recreational future, even if California isn’t technically there yet. For example: Yesterday I encountered CBD chocolates for sale at a cafe in a corporate office building. Did this really have weed in it? I asked the cashier. “No, ‘no THC!’ he told me, pointing to those words on the packaging, which also included the letters ‘CBD’ in smaller print. Zak Stone is MEL’s Executive Editor.